Literary Style of Charles Dickens: Charles John Huffam Dickens, popularly known as Charles Dickens, was a revered English writer. He was also a social critic and has produced some of the best known fictional characters that the world has ever seen. He is sometimes referred to as the greatest novelist who lived in the Victorian Era. His works had enjoyed unprecedented popularity during his lifetime and had been recognized as a literary genius by the 20th century. Not only that, his creations – the novels and the short stories enjoy lasting popularity. Dickens had to leave school to work in a factory as his father was incarcerated in a debtor’s prison. Thus he could not be entitled to a sound formal education. In spite of the hardships, he had edited a weekly journal for 20 years. He had written 15 novels, 5 novellas and hundreds of short stories. He had also written many non-fiction articles and lectured. He had campaigned vigorously for the rights of young children and their education. He had also worked for other social reforms. The literary success of Charles Dickens began with the publication of The Pickwick Papers serially in 1836. He had become an international literary celebrity within a few years. He became renowned for the humor and satiric tone in his works. He also had a keen observation of the character and the society. The novels written by Dickens were published in monthly or weekly installments. This pioneered the serial publication of narrative fiction that was to become the dominant mode for novel publication in the Victorian Era. Since this allowed the time for audience reviews, Dickens could modify the plot and develop the characters on the feedback. Dickens had picked on the style of the picaresque novels that he could find on his father’s shelves. Another important Literary Style of Charles Dickens influence could be found from that of the fables of The Arabian Nights. His writing style is marked by satire and his marked show of caricature. Another important thing to be noticed in Dickens’ writing is the catchy names that he had used in his novels. These also had assisted the development of motifs in the storyline. The Literary Style of Charles Dickens had used in his storyline is one that mixes up fantasy with realism and presents to the reader a great composition. Dickens had often compared orphans to stocks and shares. Even dinner party guests have been often compared to furniture and people to tugboats. ns had worked closely with the illustrator of his novels to supply them with a summary so that the characters and settings would be exactly the way he would envision them. Dickens would have the illustrator briefed on each month’s installment so that it could begin even before he had started writing. Dickens had published some of the most famous novels – more than a dozen in the count. There is also a large count of short stories and a handful of plays and non-fiction. There had been a number of Christmas themed stories as well. The novels were initially serialized in weekly and monthly magazines and had subsequently been printed in standard book formats. One of the most important is obviously The Posthumous Papers of the Pickwick Club, which had also been known as the Pickwick Papers, which had been a monthly serial from April 1836 to November 1837. The Adventures of Oliver Twist had been a monthly serial in Bentley’s Miscellany from February 1837 to April 1839. 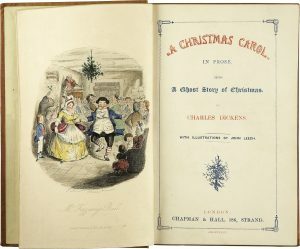 A Christmas Carol was released in 1843 and had been a favorite one. David Copperfield was featured from May 1849 to November 1850. A Tale of Two Cities had been a favorite of the readers and had been a weekly serial in All The Year Round from April 30, 1859, to November 26, 1859. 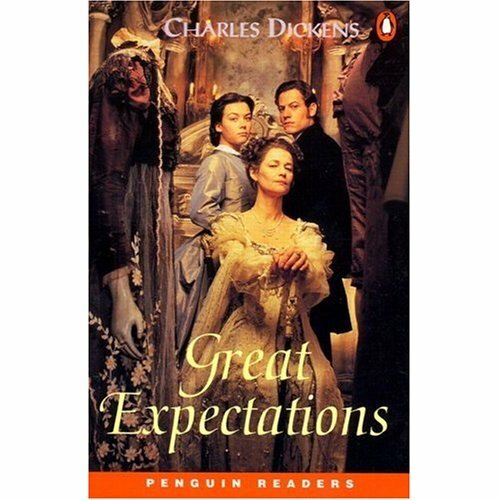 Great Expectations, Our Mutual Friend, and The Old Curiosity Shop had all been favorites of the readers due to their amazing storyline and interesting narration. The works of Charles Dickens had never gone out of print and have been adapted continually for the screen since the invention of cinema. More than 200 motion pictures and TV adaptations based on his works have surfaced from time to time. Many of his works had been adapted for the stage during his own lifetime.